What Koi do in winter, is a type of hibernation. There digestive system stops they move slower, in a way they go ‘dormant’, if you will. 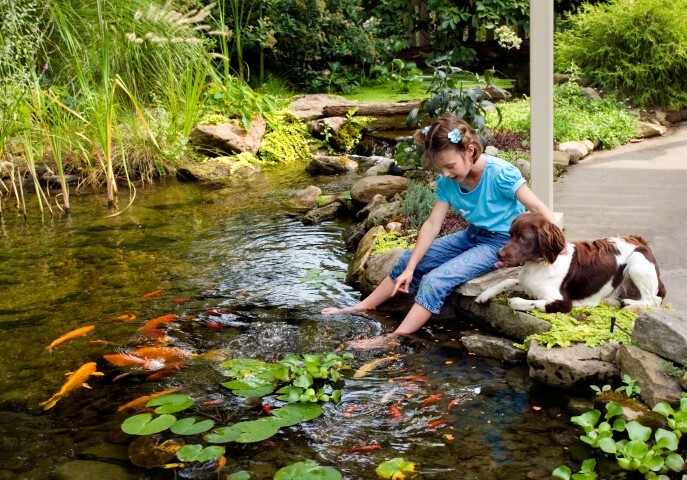 Most clients keep their Koi fish in their ponds during winter, some take them out and put them in a holding tank of sorts. In our cold Michigan winters your pond will freeze over. So if you keep your fish in your pond over winter, it’s important to keep a hole open through the ice. Gases can build up in the water, which may end up killing your fish, which is what makes the hole in the ice important, to allow for the exchange of gases. Now, we say keep a hole open, that doesn’t mean you get to go smashing the ice! 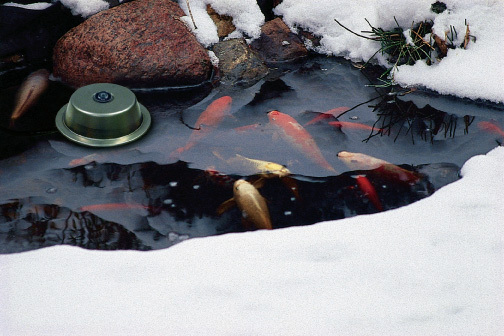 A pond heater/de-icer will do the trick for your pond fish in winter. The pond heater/de-icer will sit right on top of the ice, and will work its way through, eventually creating a hole in the ice. The pond heater/de-icer has an LED indicator light showing when it is in use, and it has a low operating cost saving you money. Use the pond heater/de-icer in combination with an aerator for optimal results. If you have questions or have already determined this is exactly what you need for your pond fish in winter, call us today!